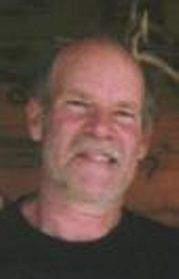 Nicholas Gardinier, 65, died on March 13th, at his home in Old DeKalb after a year long battle with esophageal cancer. Nick was born in Mt.Kisco, NY to W.Ivan and Ethel K. Gardinier. He graduated from Lockport High School in 1964 and SUNY School of Forestry, Syracuse in 1969. After a brief teaching career, Nick moved to St Lawrence County in 1972. He married Bonnie Tyner July 16, 1976 and moved to their present home of 35 years in Dekalb. Nick worked as a general contractor who restored and built houses and buildings all over St. Lawrence County. Nick was known and respected by his friends and neighbors as a person of great integrity, deep generosity and committed civic participations. As a boy, Nick loved spending summers at the Gardinier family farm in Deposit, NY, fishing the Delaware River and hunting. He carried this love of the outdoors and rural living throughout his life. He also had a passion for the sciences, and spent much of his time reading about astrophysics. He is survived by his wife, Bonnie, his daughter Audrey, his sister Phyllis Gardinier, of Ballston Spa, and Bonnie’s family in Indiana. Because of his wish to have his remains given for anatomical research, there will be no calling hours, or funeral service. The family and friends of Nick will celebrate his life in a memorial service at a yet to be determined date. Memorial contributions may be made to: North Country Public Radio,Canton, NY 13617 or Angel Flight NE,492 Sutton Street, Andover, MA 01845.